For those of you at Gracepoint Berkeley church, you’ve been getting my book recommendations and email updates when we stock new books in the bookstore. And people have been spreading the word, but I realized those of you at our other Gracepoint ministries might find it useful to hear about some recommendations here. Going forward, I am going to post those reader recommendations from the bookstore here. And you’ll be able to find them all in the Christian Books category. In the meantime, I will do some retroactive recommendations! The booklet is made up of 117 short “lessons” that are about 2-4 pages long each. The book covers a wide range of Christian topics like basic biblical beliefs of God, Creation, sin, and salvation, Christian living, apologetics, and answers to some tough sayings presented in the Bible. It’s a great reference to have when you find yourself in need of presenting certain aspects of Christianity in a clear, succinct, and winsome way to Chinese people. It’s also a great resource for new Christians since each lesson is very short and easy to read, and the wide spectrum of topics can really help someone gain a basic biblical worldview rather quickly. Since we have stocked and restocked it in our bookstore, they have been flying off the shelves. If you have an experience using this booklet, please share about it in the comments below! 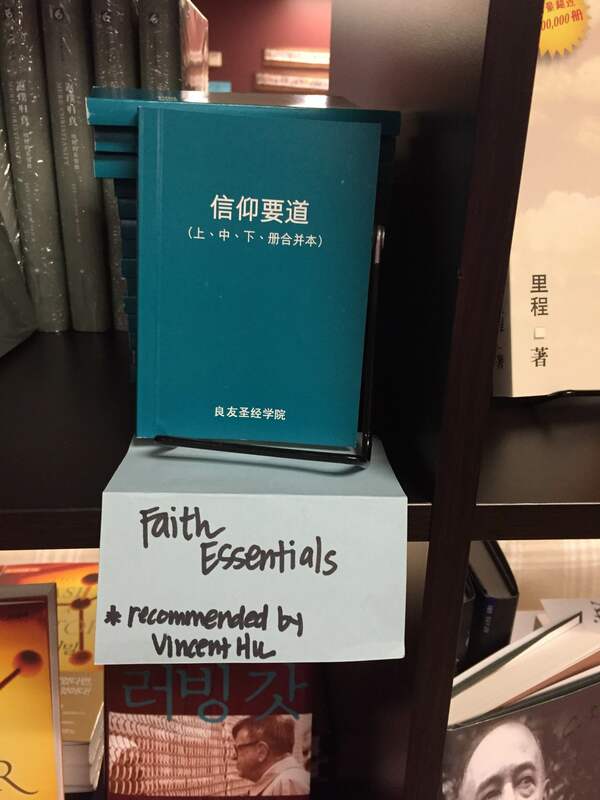 This entry was posted in Christian Books and tagged chinese books by hemilykim. Bookmark the permalink. I had my Christian aunt read it and she said it was really good. She said it will help my dad understand what Christians believe, so I gave him a copy on Father’s Day.